Nu-Heat is introducing a new product to the innovative LoPro® range, LoPro®Max OneZone. LoPro®Max OneZone features a high heat output and fast response times equivalent to that of a radiator system, all with a low height build up of just 22mm. 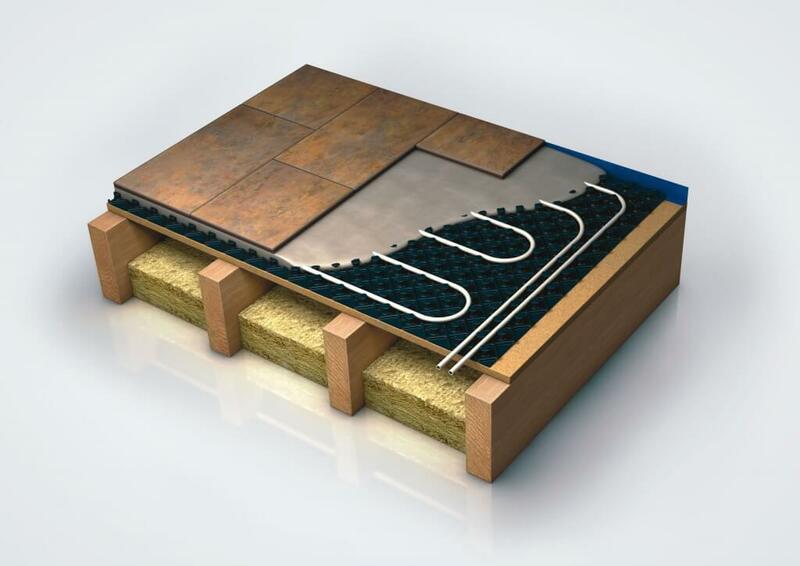 LoPro®Max OneZone is a warm water underfloor heating system designed for retrofit projects and is ideal for anyone upgrading, replacing or installing heating in one open area. Extensions and conversions combined are also possible providing that the floors are of a similar level prior to installation. Due to the impressive heat output, LoPro®Max OneZone is the perfect solution for spaces with large areas of glazing, such as conservatories, and those with minimal insulation where underfloor heating would not usually be a suitable option. This revolutionary new underfloor heating solution can be installed on ground and upper floor levels over both solid and timber sub-floors. The system uses a castellated panel design to securely hold the floor heating tube in place before covering in a specialist self-levelling compound, LoPro®QuickSet. The compound is highly conductive and provides a robust and perfectly level floor surface which can be walked on after three hours and is ready for tiling within just 72 hours. LoPro®Max OneZone is suitable for all floor finishes including tiles, limestone, marble, engineered timber and modern vinyls as well as carpet. The system integrates seamlessly with any radiator circuit and is the perfect partner for modern gas, oil and LPG condensing boilers. Due to the fast response times, the system can be controlled by an existing timeclock, so there is no need to change any present wiring or heating controls. The low running costs of LoPro®Max OneZone are a major plus point for any homeowner when compared to an equivalent electric underfloor heating system. For example, a 30m² electric underfloor system would cost approximately £720 per annum to run. LoPro®Max OneZone costs just £240 when working with a gas boiler – a huge saving of £480, or 30p per hour! Nu-Heat supplies everything you need to successfully install LoPro®Max OneZone including clear and concise manuals and support from the experienced Nu-Heat technical team over the phone if needed. The pack sizes range from 4m² up to 60m² and include all controls, the correct amount of Fastflo floor heating tube, the castellated panel fixing system and the fast drying LoPro®QuickSet self-levelling compound. Nu-Heat will be launching LoPro®Max Whole House later this year, offering the same innovative features as LoPro®Max OneZone together with a bespoke system design. Find out more about LoPro®Max OneZone here or call 0800 731 1976.